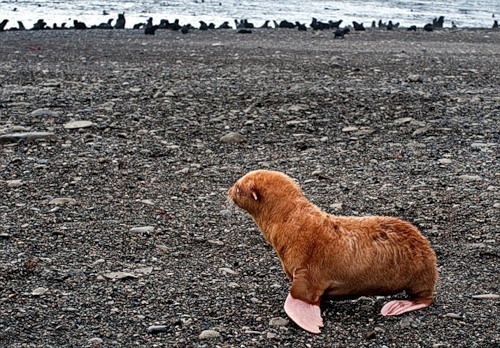 It’s tough being ginger even when you’re a seal: Lonely pup shunned by his colony. 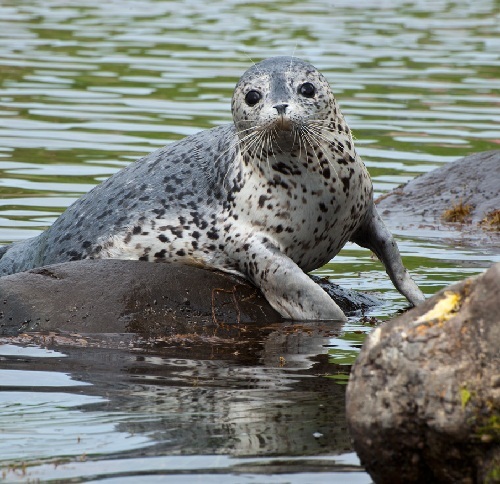 Sitting all alone on a beach, this little seal is an outcast from the colony. Having reddish-brown color of fur and the palest of blue eyes. The rest of its sleek black family took an instant dislike to the ginger pup, leaving it to fend for itself. The pictures were taken by a Russian photographer Anatoly Strakhov, who spotted the seal on Tyuleniy Island, Russia. 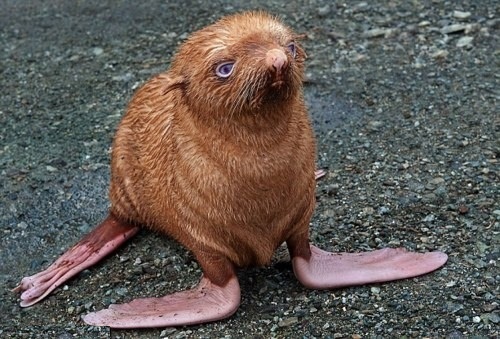 This is the adorably sad face of the poor seal pup no-one wants to play with. 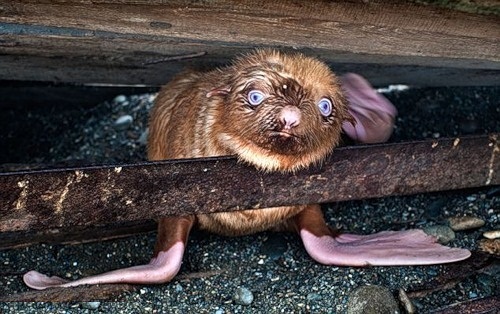 With his brown fur and sad blue eyes, this rare albino seal knows hes not like other seal pups. 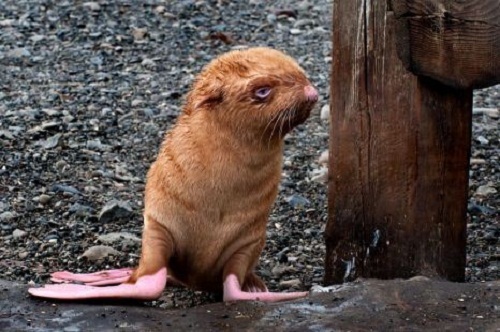 And just like the Ugly Duckling this lonely little seal was rejected by his family and left to fend for himself. 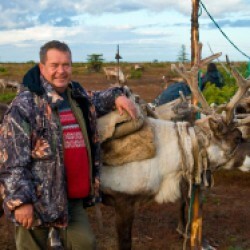 Luckily, Mr Strakhov was with staff from a dolphinarium who took it into their care. 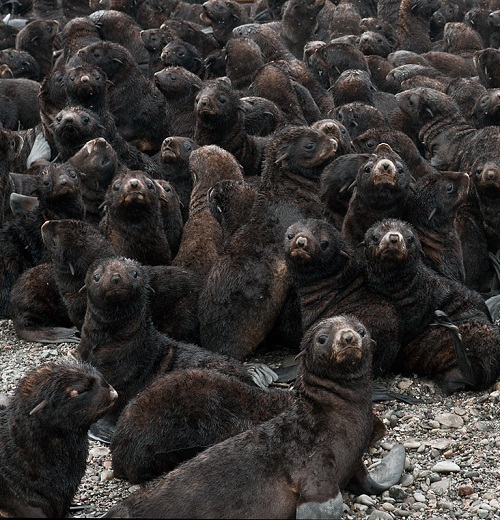 The pup – whose colour is the result of an accumulation of iron in its fur – might have had more luck in the U.S. One of the biggest concentrations of red-haired seals is in San Francisco.